Solar install company Solgen Energy spend more time working at heights than most. During their day-to-day operations, they’ve partnered with us many times to make their working environment safer. We recently teamed up with them again for a project at the Clayton campus of Monash University. Installing solar panels is not a short or simple job. It requires many team members working at heights and moving on a roof at once. 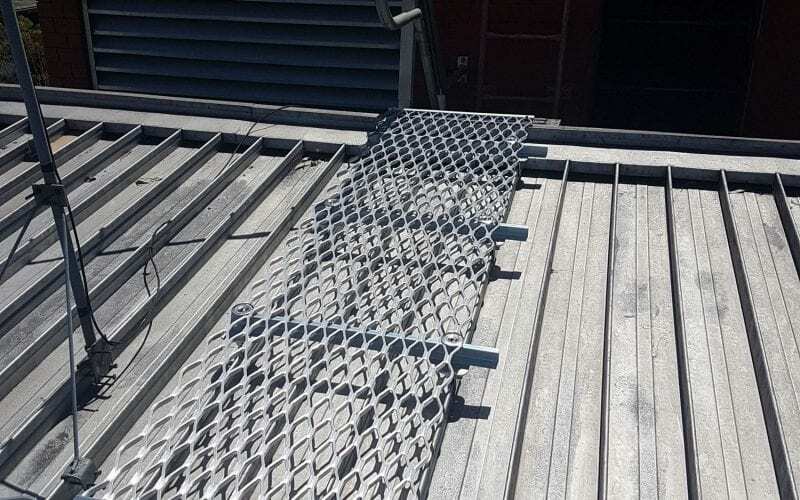 When Solgen Energy began a project to install a solar panel system on a building at Monash University – they knew a safer way to navigate the roof was needed. However, it was important any solution avoided disturbing the asbestos present in the roof. 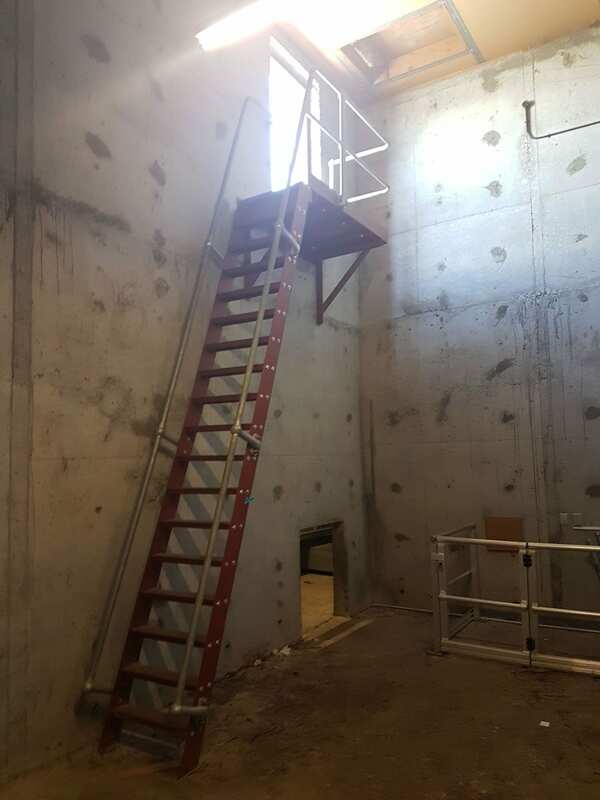 As height safety experts, creating solutions that meet complex needs is what we do best. We started the process by carrying out a site inspection, where we discussed the unique issues and needs of the site. 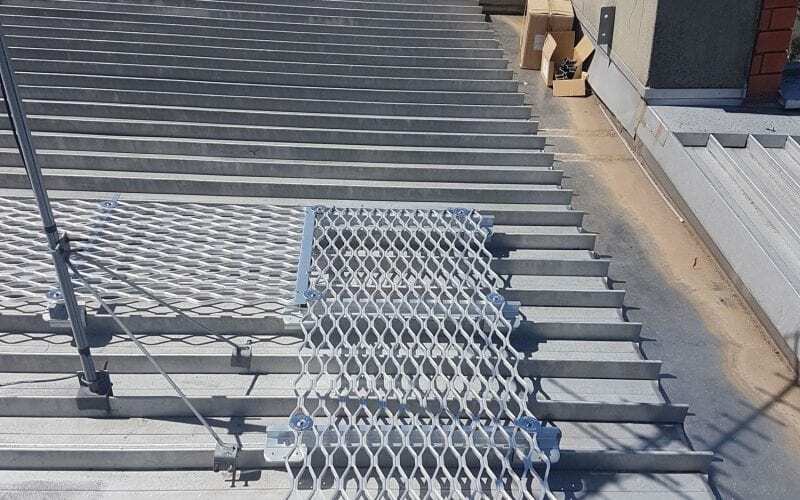 After consulting with the client, we recommended an aluminum walkway system installed on clips. 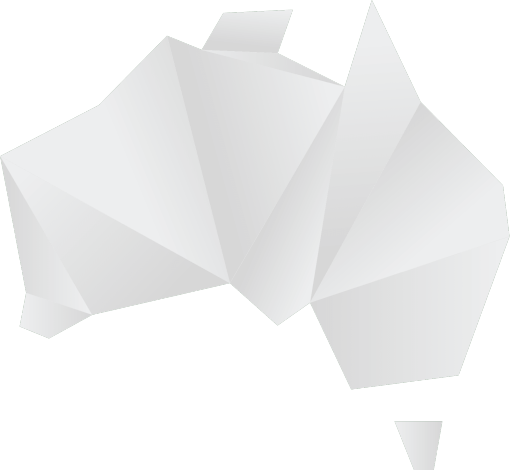 This system provided two clear benefits: there was no need to fix into the roof and potentially risk the watertight roof, and we didn’t have to compromise the asbestos. To keep the project on track over the holiday period, our project manager personally arranged the induction and installation process. 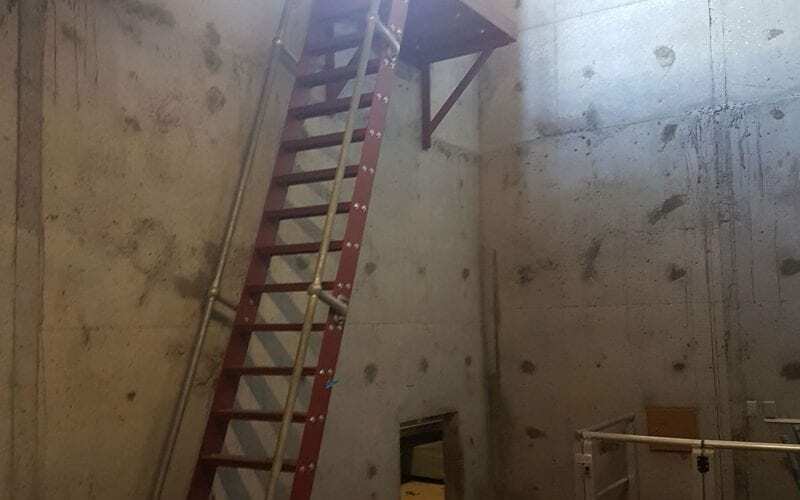 We also delivered extra efficiencies by scheduling our crane lift for the same time as Solgen Energy’s meaning only one road closure was needed. 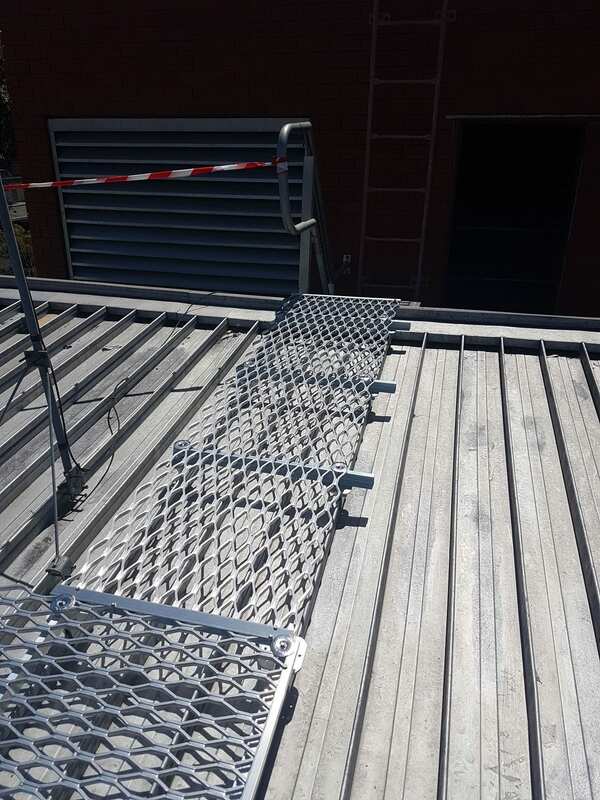 In addition to a solution that minimised all impact for our clients, the result was a strong, durable and safe walkway for the roof that has served the installation of the solar panels, and will provide a safe pathway for ongoing maintenance work. 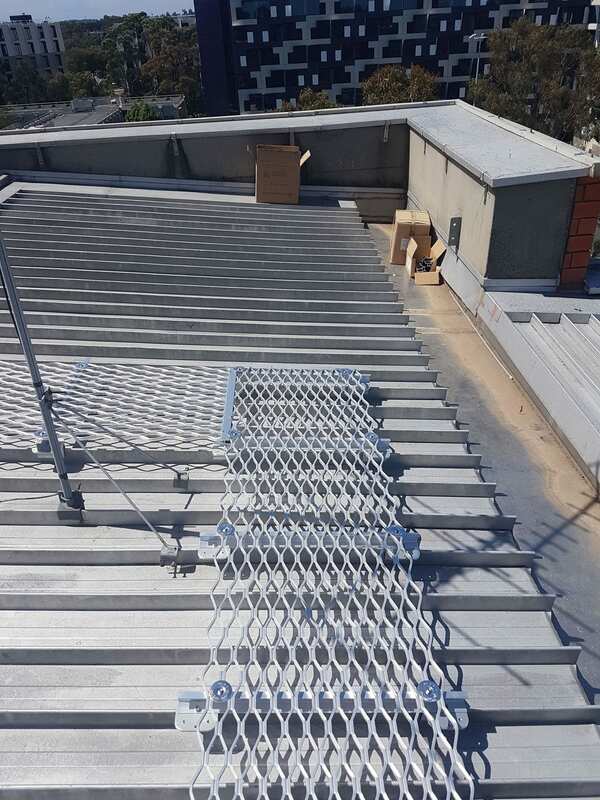 We use Anchor Safe for our solar installations in Melbourne. Excellent quality and service. In an industry full of cowboys they offer good value for money for a professional outfit.